Many spiritual traditions claim that humans have a spirit or soul and getting in touch with it can enhance our physical lives (e.g., tai chi, yoga, etc.). We know it’s easy for our body to use its senses to experience the world, but how can our spirit sense the life around it? Emanuel Swedenborg makes the interesting claim that our mind is our spirit and that it connects us to physical and spiritual structures and concepts. In this episode of Swedenborg and Life, host Curtis Childs and featured guests review Swedenborg’s written philosophies on our inner and outer senses. The physical body and the spiritual body: What’s the sensory input for each and how do they interact? Curtis kicks off the show with two excerpts from Swedenborg’s writings to answer these questions. Swedenborg claims that if we’re deprived of our senses, we’re deprived of life. It may seem a bit dramatic, but some modern research supports this claim, as assistant professor of biology and chemistry Dr. Edward Higgins explains. Swedenborg believes that our spirit exists in every part and organ of our body. 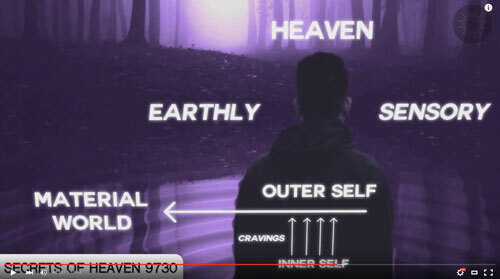 Curtis shares an animated excerpt from Secrets of Heaven 4695 to explain the intimacy of that union between body and spirit. 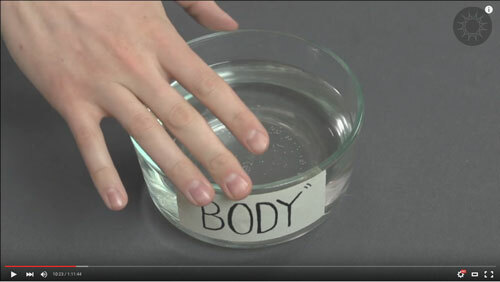 To elaborate on this point, Curtis put on a demonstration using symbolic elements to show how the body and soul are one. Interestingly, during one of his spiritual explorations, Swedenborg had a vision where he witnessed a teacher sharing wisdom with angels about the components of the soul. In the next section, Curtis covers the idea that seeing the interdependent nature of the body-soul relationship is key to understanding how one informs the other. In Arcana Coelestia 10199, Swedenborg writes that the spiritual affects the physical, not the other way around. Curtis acknowledges that many won’t agree with that concept since it seems like our outer senses first receive information and then bring it inward. To expound on the possibility of this sequential order, physicist Dr. Ian Thompson describes the processes of receiving information and psychologist Dr. Erica Goldblatt Hyatt offers real world examples of how our inner senses inform our outer senses. 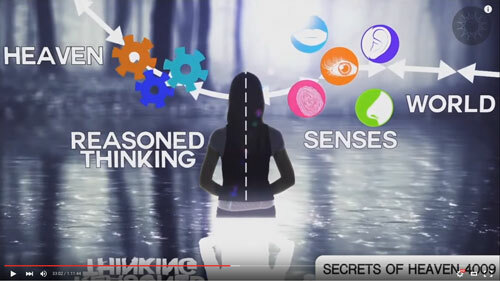 To sum up the information put forth by Swedenborg and our featured guests, Curtis applies concept to reality with a sequence of examples of how the physical senses of hearing, sight, smell, taste, and touch correspond to spiritual senses. When speaking about the sense of sight, Curtis uses it as an opportunity to explain why our YouTube channel is called offTheLeftEye. The main perk of having spiritual inner senses is that they are part of a complex system that makes us uniquely human. 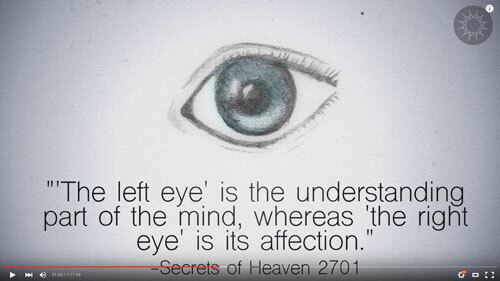 Our spiritual senses also let us receive love and wisdom from the Lord, as Swedenborg described in Secrets of Heaven. If these concepts are difficult to understand, think about how a blind and deaf person can learn without the senses of sight and hearing. Famous Swedenborgian Helen Keller is a prime example, so Curtis shares a clip from a documentary about how she was able to learn words and their meanings through the sense of touch. Once Helen was able to gain knowledge through the sense of touch, she felt her spirit had gained eyes to see the world perfectly. The thought of using our spiritual eyes the way Helen Keller did is inspiring, but it can be challenging to put into practice. In the next section, Curtis goes over the consequences of relying on our physical senses too much and how we can make sure our spiritual senses are leading our physical. Even though many spiritual teachers throughout history have touted the benefits of unifying our bodies and souls, still people remain grounded mostly or solely through their physical senses. Swedenborg calls them “sense-oriented people”—people who only believe what they can see with their eyes and touch with their hands. So what are the consequences of closing off our spiritual senses and relying mostly on physical senses? Curtis likens this to a tree without roots and points to Swedenborg’s own words in Secrets of Heaven 9730. As you can see, being too sense-oriented can lead to a hellish mindset. When we base our thinking on our outer senses alone, we can end up with false ideas that can lead to evil or harmful actions. For example, using your physical senses might lead you to focus on the differences between you and a person of a different race; but using your spiritual senses allows you to see others regardless of color as fellow humans and spirits. So how can you tell if you’re too sense-oriented, and what can you do if you are? Swedenborg spells that out in Secrets of Heaven 5125. What do you think? Do you believe we all have a soul and that it plays an important role in our human experience? Do we eat in heaven? Seriously, I love chocolate. Do you think that in the future our human senses will evolve to be more like our spiritual senses? Like, the physical body getting more close to the spiritual one? Is perpetual pain in the physical body related to the spirit? Is it an indication of a spiritual defect? What are the differences and similarities between spirits and angels? Is death of the body real? We only know that “truth” from this side. If the spirit, soul, and body are one, then when we pass over, we still have a body. Is death of the body an illusion? How can you tell if you met your “soul mate”? How do you know? So, is the soul a vibrational aspect that exists on a simultaneous quantum level in tandem with the body? Does Swedenborg say anything about speaking in tongues? So does the spiritual form remain static in the spirit realm or does it morph according to the spirit’s learning? Swedenborg says that evil spirits are what we also call demons. Does Swedenborg state how they can acquire enough power to manipulate things in the physical (e.g., demonic hauntings)?